Welcome to 'Fun in the Sun.ca'. This cheerfully decorated vacation villa awaits your arrival. 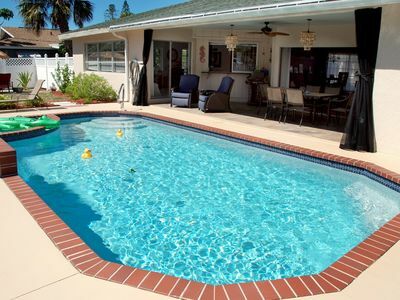 It has all the ingredients you will need for a memorable Southwest Florida vacation. A Great House and Great Location! The House has just been fully renovated and beautifully decorated in a cheerful blend of tropical and seaside decor. The atmosphere is casual and relaxed. This very spacious Bungalow sits on a double-wide lot with lots of room to move both inside and out. The south-facing Backyard is fully fenced and private. 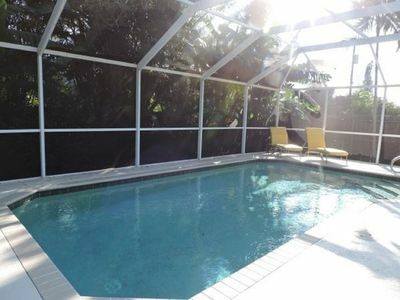 The large covered Lanai has ample seating, a propane BBQ for outdoor grilling and overlooks the heated Pool with waterfall and swim-up seating. The heart of the House has the entrance Foyer, a Dining room and Living room. The Dining room is steps from the Kitchen with an extendable table that seats up to 8. The spacious sunken Living room has a wall-mounted 55'' 3D LG TV (with 3D glasses for 8) and a 3D Blu-Ray player. There are lots of movies, books, puzzles and games for your entertainment. 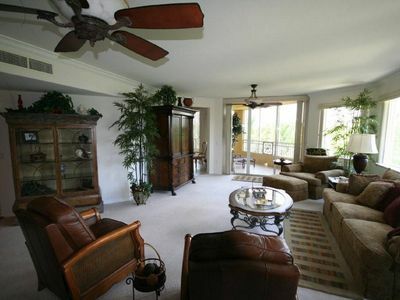 The Living room also has a Queen sleeper sofa and a 12 foot sliding door that opens onto the Lanai. To one side of the House there are 2 Bedrooms and a 3 piece Guest Bath. One room has a Queen bed with double closets, wall-mounted 32'' TV/DVD and a sliding door out to the Lanai. The other room has a Twin and Double bed, standard closet and wall-mounted 29'' TV/DVD. 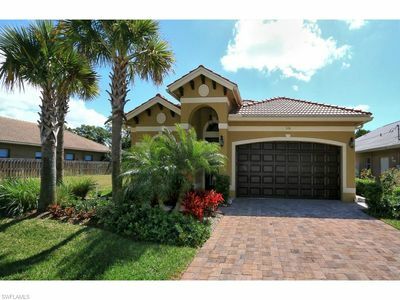 To the other side of the House lies a very spacious open-concept Kitchen, Breakfast, Family area and the Master suite. 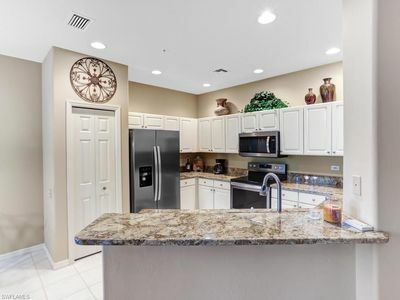 The fully equipped Kitchen is a cook's delight with wood cabinets, stainless steel appliances, granite counters with a breakfast bar for 4, and a large sliding pass-through to the Lanai and BBQ. The Breakfast area is a great spot for a quick bite to eat or a rousing game of cards. The Family room is a nice quiet area for reading or napping and has an oversized desk for your computer or current project. 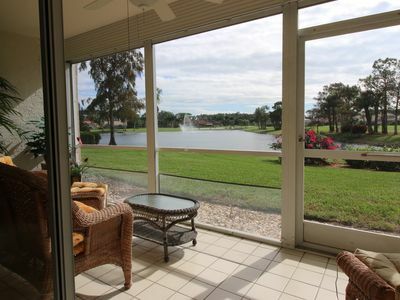 This area also has a sliding glass door to the Lanai and overlooks the Pool. 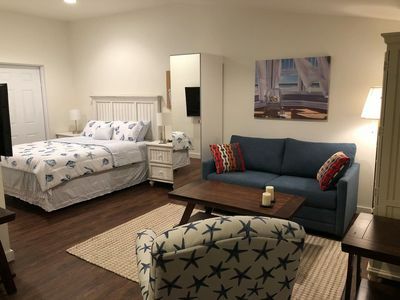 The Master suite has a King bed, wall mounted 42'' TV with DVD player, a private 3-piece Master Bathroom and a walk-in closet with a standard hotel security safe. 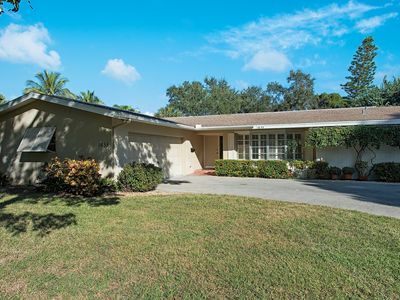 The House has an attached two car Garage with full Laundry facilities and a double driveway that will easily park 4 cars for your convenience. We also offer the use of 4 adult cruiser bikes, an assortment of beach chairs and towels, a cooler and umbrella for those long days at the beach. 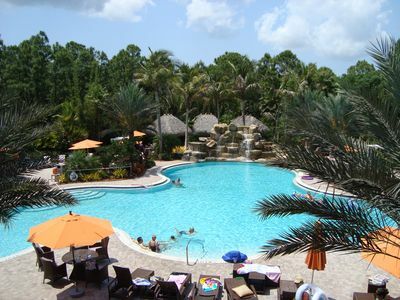 Choosing to stay at 'Fun in the Sun' puts you almost in the middle of Naples Park. 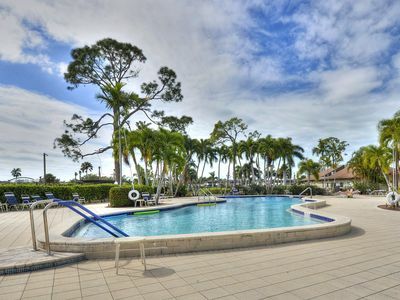 Once you are in 'The Park' you are extremely well-located to all the amenities Naples has to offer. Our home sits between two world class Beaches: Vanderbilt Public Beach has been voted one of the top ten in the country and has a large public parking garage. 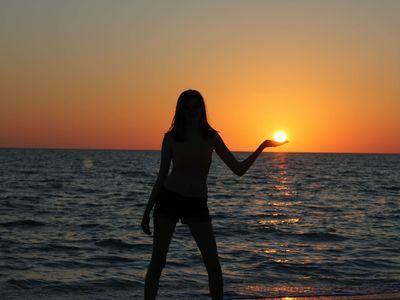 Delnor Wiggins State Park is one of the most popular seaside destinations in Naples. 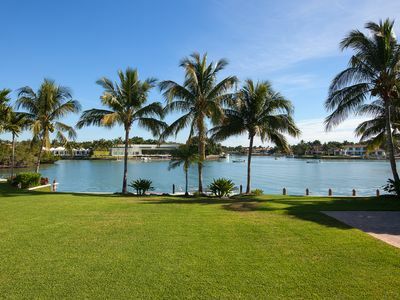 A 166 acre park that is considered a tropical paradise for beach lovers, boaters, divers and fisherman. 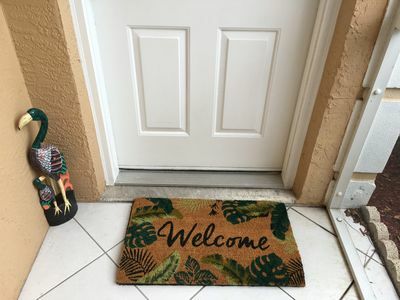 Your rental includes a Family Park Pass for Delnor Wiggins so you can take all the necessities for a day at the beach and park for free anytime. Both beaches are minutes away by bike or car. 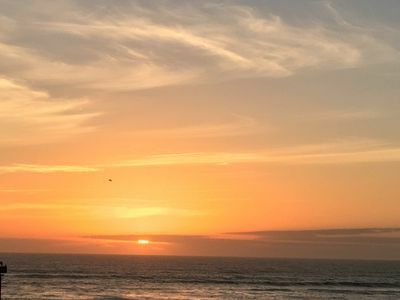 The sunsets are especially spectacular! Fabulous shopping and dining can be found just a few blocks inland at the ever-expanding Mercato. It is so close you can walk, bike or drive. It has a Whole Foods and Silver Spot Cinemas plus many wonderful shops and restaurants for you to enjoy. 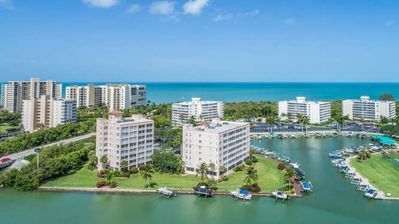 Other places to check out are: The Waterside Shops, The Venetian Bay Shops, Fifth Avenue South and Third Street South. All are within a 10-15 minute drive. 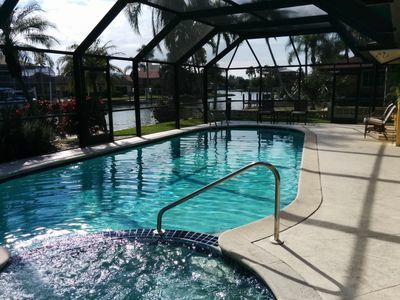 Considering the exceptional year round weather in Naples it is not surprising that so many outdoor activities are available. 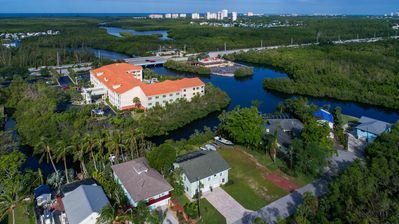 Visitors can bike, beachcomb, kayak, canoe, sail, kite, deep-sea fish, play tennis or golf. 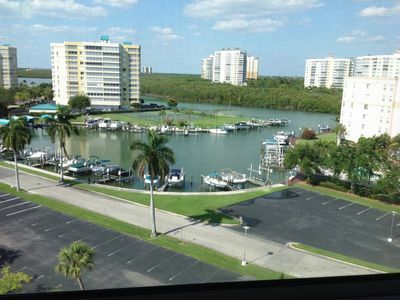 As for Golf - Naples has more golf courses per person than anywhere else in the world! Many of the courses have been designed to meet the exacting specifications of professional golfers. In addition many PGA tournaments are held here throughout the year. For a taste of culture there is always a trip to 'Artis-Naples'. A performing and visual arts centre showcasing the Naples Philharmonic Orchestra and Baker Museum. And for the little ones a trip to Naples Zoo and Caribbean Gardens is a sure hit. Our Guest Book will provide information on the house and all the best local attractions. There are so many things to see and do for both young and old in Naples. Thank you for your consideration. Please email or call if you have any questions before booking your vacation with us. Aqualane Shores on Gordon Drive - Two blocks to the beach! 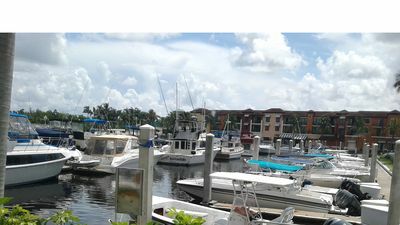 Waterfornt Naples Florida Downtown Vacation Rental overlooking Marina!